With PFH cloud services, your business will pay less for IT while improving access to the latest business tools like email, scheduling, and Microsoft productivity software. PFH offers advanced cloud-based data protection features so your data and communications stay safe and continue to meet the demands of compliance and risk. By delivering hybrid cloud architecture designed for high-availability and instant scalability, PFH will make your business more agile than ever, able to react instantly to sudden changes in demand or new business opportunities. With cloud services from PFH your company can take advantage of the cloud right now, realise its benefits and enjoy new ways of working together. Cloud platforms for infrastructure can generally be divided into the concepts of Private, Public or a mix of the two models along with traditional on premise systems (Hybrid). As a provider of datacentre solutions, as well as having a strategic partnership with Microsoft for Public cloud, PFH are ideally positioned to ensure that whatever your cloud requirement, we are able to define the best fit for your environment. We specialise in the provision of private cloud platforms and our solutions are based on the open standard OpenStack cloud operating system in conjunction with cloud technologies from Microsoft, HP and Red Hat. Our team of experts can explain the dynamics of different compute styles and architect advanced solutions with detailed TCO models. For private cloud and infrastructure, we design and deploy solutions built on the latest technologies from HP, EMC and Dell. Utilising Microsoft Azure, we provide you with a complete suite of services covering all aspects of this premium cloud platforms capability. Our value is translating and delivering the capabilities of this vast and complex environment in a structured way that ensures you get the best return. We also provide a complete service portfolio that is monitored and managed on a 24x7 basis from our Network Operations Centre to ensure that your services are optimised and operating as you would expect. Let our team enable your cloud. A completely flexible and agile service for the provision of all Azure services, and in particular virtual servers and storage where hardware resilience, security and availability is guaranteed. You will have reduced costs as resources are provided on a utility model. Our transition services can be deployed to move your on premise systems to the cloud and a full solution for backup and management can be put in place. Cloud services can be scaled to meet exact requirements along with the ability to deploy systems on an ad-hoc basis to meet temporary needs. All systems are built on Microsoft Azure so customers can be confident of service continuity – as well as integrated utility billing from PFH that means you only pay for what you use. Deployment of resources in Azure integrated to your business and to your requirements driven by our Cloud Computing and Professional Services teams. Easy access to systems online for test and development scenarios. We provide complete Managed, Talent Acquisition and Helpdesk services to support our customer's operations. We alleviate risk by supporting and enabling our customers through the provision of complete infrastructure management, helpdesk and break-fix services to ISO standards in syndicated and dedicated models. Our Talent Acquisition services provide highly skilled personnel to augment and support on-site technology requirements. If you are considering how to develop, engage or consider a cloud strategy for your organisation, then our proven Transformation Strategy development service can help you shape your thoughts and plans for the future of your IT environment. Our approach is based on our extensive experience and established best practices for cloud readiness and transformation Our methodology represents an established solution-development approach that provides for well-defined phases that takes into account requirements such as architectural design, software design, software development, system testing, and managed release cycles, administration, costs and management. Detailed migration roadmap recommendations for project team resourcing. Think productivity and think Office 365 from Microsoft. Whether it is basic email or a complete solution incorporating SharePoint for collaboration and Skype for Business for Communication – our team deploy, manage and support all aspects of your environment. We can extend our support services to your end users – this means we take the role of support agent to ensure your users are being as productive as possible with your subscription. We can also deliver complete flexibility in billing by providing you with a monthly cost based on actual usage. Many companies have difficulty in maximising the potential that Office 365 can bring to their business as this requires technical and process alignment expertise. All our consultants are trained to the highest level of accreditation in the Office 365 platform and are extremely experienced in implementing the best solutions to customers. We help our customers realise the benefits of the Office 365 experience without the need or expense for them to become experts at implementing and supporting these business tools across areas such as SharePoint and Business Analytics. At PFH we have developed a tailor-made implementation and support offering that ensures maximum benefit with little disruption to deliver the complete Office 365 experience. We work with you to plan, deploy and customise your Office 365 implementation. PFH are your end to end Office 365 partner. Increased productivity through optimal deployment of the purchased tools such as SharePoint etc. PFHMyFile: A low cost, highly available and agile file sharing service that provides constant access to data across user platforms and devices. The service is a replacement for on premise fileservers as well as a document sharing solution that is fully managed and hosted on Azure. Customers can create shared workspaces with access controls using Team Folders in the system.. Data security is ensured as the service is cloud based and has file versioning, it is by default a backup repository for local data. The customer can choose to self-administer or opt for a complete managed service for the Cloud Share thus giving local control if required. 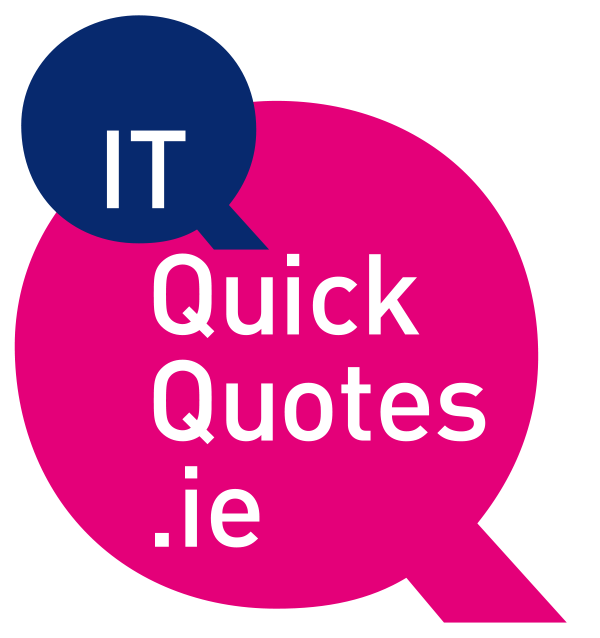 A file synchronisation and sharing service for teams and individuals providing access to data from any platform (Web, Windows, IPhone, Apple, Windows Phone). This solution is hosted on the PFH Cloud and fully integrates with Active Directory (if required) to synchronise desktops as well as fileserver shares (to provide copies of data or replace local file servers altogether). Users can also share content with external users (non-employees) like as with Dropbox etc. The solution is multi-tenant so can be provided as a managed service, or customers can opt to self-manage their environment. It is licensed per user and total allocated storage. Data security through synchronisation and versioned backup. Implementation of a Managed Service for the solution if required. Think security and think prevention, monitoring and management. We offer prevention through perimeter security services such as managed firewalls and intelligent filtering of websites and email. Monitoring and Management services are built onto Microsoft’s Security Suite leveraging Premium active directory for 2-factor authentication and single sign on, InTune for mobile device and application management, as well as Rights Management for Data Loss Prevention. Our services support the day to day management of these business critical operations so that you can be sure that your security investment is being utilised and realised to the fullest extent. Our team constantly monitor and adjust polices based on feedback and real-time events as they unfold. We provide the toolset, and ensure it is working optimally, to protect your environment and mobile workforce. A professionally managed cloud security service that is tailored to the clients’ specific requirements providing the desired security protection continuously and seamlessly. The client receives a defined service catalogue of security features that can be self-managed or our Managed Service team implement and administer. This provides the client with a solution that can cover firewall management, Anti-virus provision, single sign on for cloud and on premise workloads (identity management), mobile device management, mobile application management and data Security through Information Protection. implementation of a Managed Service for the solution. Increased Agility and Scalability by utilising cloud technology. Disaster Recovery as a Service A managed cloud DR solution that protects the customer’s IT operation utilising cloud infrastructure that is more flexible and provides lower total cost of ownership (TCO) than on-premises hardware. On-premises servers (physical or virtual) are replicated into the cloud. The service includes complete management by PFH Managed Services engineers to maintain and monitor the environment as well as assist in bringing the replicated environment online should a disaster occur. A disaster recovery service that utilises Azure for speed of recovery and access, cost management and service agility. Azure Recovery Manager is deployed to maintain replicas of VMWare, Hyper-V or physical servers in the cloud. PFH Managed Services maintain and operate the services ensuring service health, performing DR tests and are available in the event of a disaster to bring the replicated servers online restoring services quickly and efficiently. Pricing Components: ASR per server, Storage (for replicated data), Managed service / support. Additional costs (utility): servers when online in Azure, data egress, VPN, RDP services (optional), onsite services for deployment or invocation. Ease of recovery testing without interfering with live operations. Backup as a Service An extremely low-cost highly reliable backup solution that provides better security and data protection than traditional tape solutions. The customer will receive a fully managed Backup to the cloud solution that ensures complete copies of data are maintained in a consistent state offsite. Data is securely stored in the PFH Cloud and as such data can be recovered to any location. Where latency for restores are not an issue this solution can replace tapes and locally installed backup software. A PFH cloud based file backup solution that is provided as a managed service. It is a low cost solution that involves the installation of backup agents on customer Servers & Pc’s. The customer pays for the number of devices and total backup storage used in the PFH Cloud. The cloud aspect provides for complete service agility and security as cloud copies of backups provide for reliable off-site data copies that can be recovered to any location. The solution can be used as a tape replacement solution where the latency for restores over the internet are not a customer issue. The solution supports Windows Servers, desktops, MS Exchange and SQL. This is a particularly ideal solution for high volume file data that needs a backup strategy.